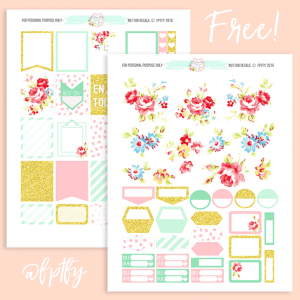 Blossom Delight Planner Addict Printable Collection! Exclusive Free Gorgeous Floral 3.5 x 5 Images! New Exclusive Vintage Email Freebie!